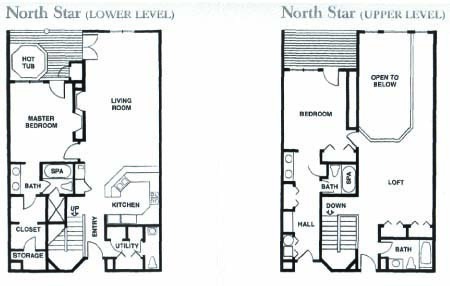 This 2-bedroom plus loft, 3.5 bathroom unit has 2324 square feet of living space. Relax in the private hot tub on the deck or the jetted tub in the master bathroom. There is also a separate shower in the master bathroom. There is a king bed in the master bedroom, a king bed in the guest bedroom, 2 twin beds in the loft, and a twin couch bed in the loft. 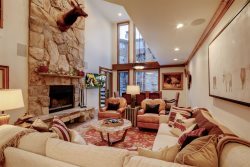 There is a wood burning fireplace in the living room and the master bedroom. The kitchen has white tile countertops with matching appliances. The deck and hot tub have a view of the mountain. The living room has a 90" flat screen TV. There are also large flat screen TVs in each bedroom and a flat screen TV and Play Station 3 in the loft.